Don't you wish you lived in Tuscaloosa? 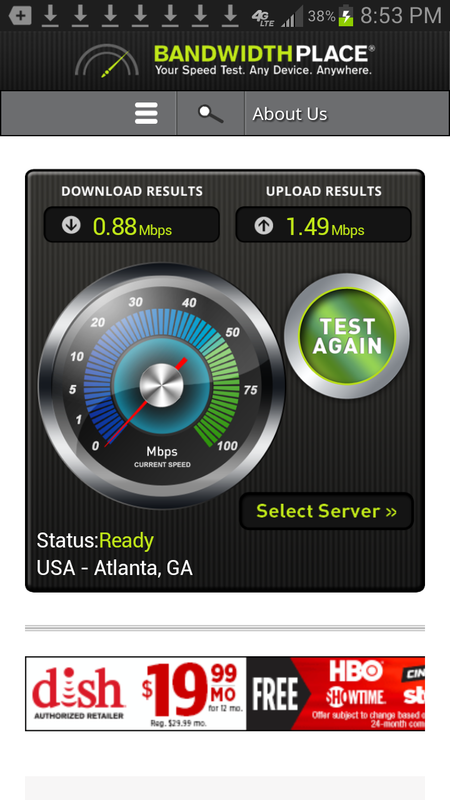 Tonight's AT&T LTE4G speed test. Notice the upload speed is greater than the download and both are slower than my old acoustic couple! Why would anyone pay for this if they had a choice. I can't get Verizon at the Cottage or I would be gone. I'll run a second test as soon as I post this one. 3) I know nothing about the speed test app you're using... try a real one like http://goo.gl/gnbxz and let's compare results.